Mobile bingo sites are on the rise and it's our job to help you find the best of the best. We're talking about bonuses, jackpots, great games, and more. There are a number of different online bingo games that you can play but in most cases, it is a game played with 90 balls and your goal is to get a line, 2 lines, and then a full house. The fun that comes from playing at mobile bingo sites is that you can do it anywhere and anytime you like. Here at Bingo Waves we have everything covered. You'll find reviews for real money bingo sites including the bests USA sites and those for UK gamers. We have iPad, iPhone, and Android apps as well as no download instant play sites that you can access via your mobile browser. Gambling on the go is a massive industry and online bingo is just one aspect. Rather than having to visit your local bingo halls once a week to play your favorite game, you can now play whenever you like from the comfort of your own home. Mobile platforms are convenient and mobile optimized sites or specially created mobile bingo apps are the way forward. With the introduction of HTML5 players don't have to search for apps anymore. All the games can be accessed using the smartphones browser. A lot of mobile bingo operators are switching to browser-based platforms and there are a number of advantages to this. Whether you have an iPhone 7 or the latest Samsung Galaxy device, you will be able to access a mobile bingo site in the same way as you do on your desktop. Browser-based games load instantly and all you have to do is swipe and tap to start playing. 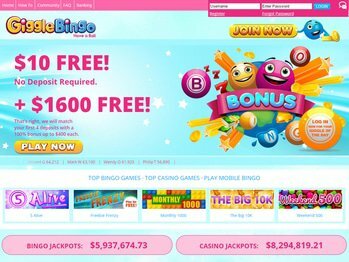 There are hundreds of sites to choose from and it's important to remember, that playing mobile bingo games is not just about winnings jackpots, it's about socializing, so all the sites we list have active fun communities that you can join and become part of. You can check out our device specific pages for more information on iPhone bingo sites, iPad bingo site, and Android bingo sites. 90 Ball Bingo: This game is played on a 3x9 grid with some of the squares containing numbers. The game is played in three parts so there are three prizes up for grabs. The first is the one line part where you have to mark off all the numbers on a single line of your bingo card. The second part is two full lines, and then you have the full house where you have to mark off all the numbers on the card. 80 Ball Bingo: This is played on a 4x4 card with each column being a different color. The colors used are red, yellow, blue, and white. Once a number is called you just click on the number and a colored square will replace the number. The winning patterns in this game can vary depending on the mobile bingo site you are playing at. They can include a full card, single line, shapes and more. 75 Ball Bingo: This is a popular USA bingo game and it is played on a 5x5 card with numbers in each square except for the middle one. There are lots of patterns in this bingo game including lines, four corners, letters, full house, and more. It is perhaps one of the most popular bingo game variations. Don't forget to check out our USA mobile bingo page for even more information. Everyone loves freebies and free bingo games are a great way to see what all the fuss is about. They are great fun but what you won't like is hitting the jackpot and realizing it's not real money. You can use free mobile bingo games to try out the different variations, learn the rules, see how patterns work, and so on. When it comes to winning real cash, though, we can help you out. 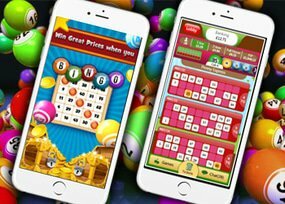 We list of the best mobile bingo sites for the USA and the UK. You will also find no deposit bonus offers which will allow you to enjoy some free games while still winning real money too. We look at all the criteria listed above and they are assessed one by one. We also play the games and test them on all mobile devices including iPhone, iPad, and Android smartphones and tablets. We test the customer support and we even create real money accounts and claim the bonuses being offered to make sure everything is easy. We also request a withdrawal times too. We also look at the bingo operator to see what their reputation is and if they have won any industry awards. All this is done so that we really can bring you the best mobile bingo sites to play at. Casual or just for fun mobile bingo games are also very popular. You play for imaginary money, points, or credits that you can gift and share with friends. Even though these apps don't allow for real money wagering or the chance to win cash jackpots, some of the apps may include in-app purchases that may have real costs. A lot of these just for fun bingo apps are played via Facebook rather than on iPhone or iPad bingo apps. They are social games and allow for more interaction including the ability to invite friends to play, share scores via your friends' walls, post on social media, and compete in tournaments with teams. If you are just looking for some fun these could be for you. There are different versions of bingo available all around the world. The two main versions are commonly referred to as US bingo and UK bingo. There are several differences. In US bingo games 75 balls are used and the cards used are 5x5 with BINGO displayed above each of the five columns. In UK bingo, 90 balls are used and the tickets consist of 3 rows and 9 columns. 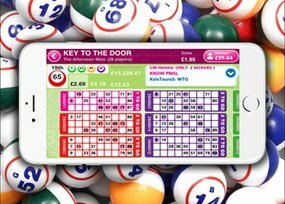 Mobile bingo sites usually offer both 90 ball and 75 ball bingo games as well as a number of other variations. You can browse through our Best USA Bingo sites and Best UK Bingo sites to find a mobile bingo operator that suits your needs.